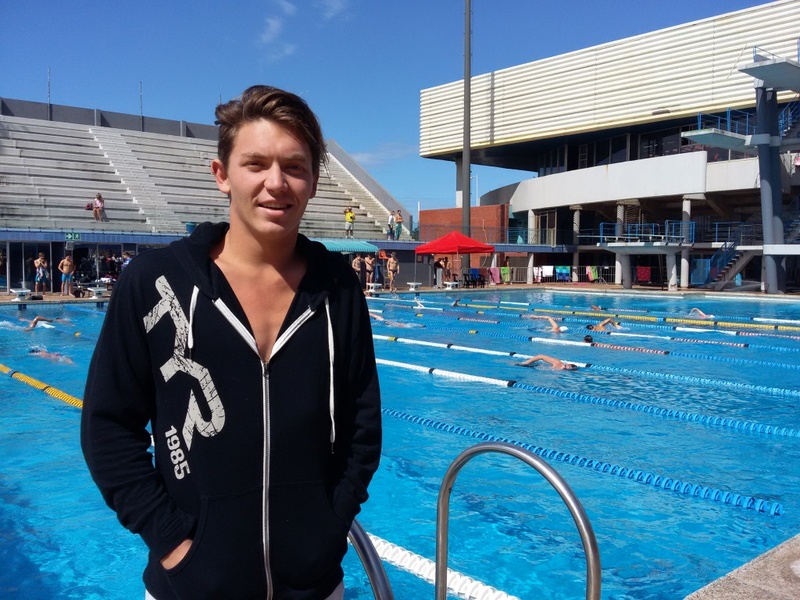 This weekend saw some of the country’s most respected swimmers compete in the 2015 SA Swimming Championships with Myles Brown breaking SA’s longest standing swimming record as he won the 400m freestyle. It was also a great day for Sebastien Rousseau who was truly one of the standout swimmers after he attained his second qualifying time on Saturday evening. A total of five swimmers managed to swim qualifying times to book spots in the SA swimming team for the world championships in Kazan, Russia, in August. 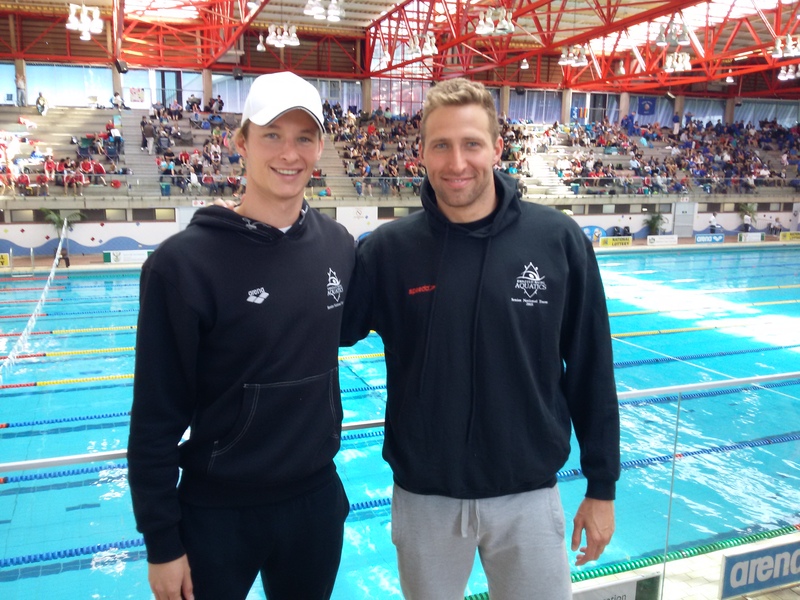 These included the likes of Myles Brown, Chad le Clos, Cameron van der Burgh, Sebastien Rousseau and Ayrton Sweeney. Cameron van der Burgh was in a class of his own winning the 100m breaststroke in just 59.78sec. He posted the third fastest time in the world this season in his 59.78 second victory in the final. 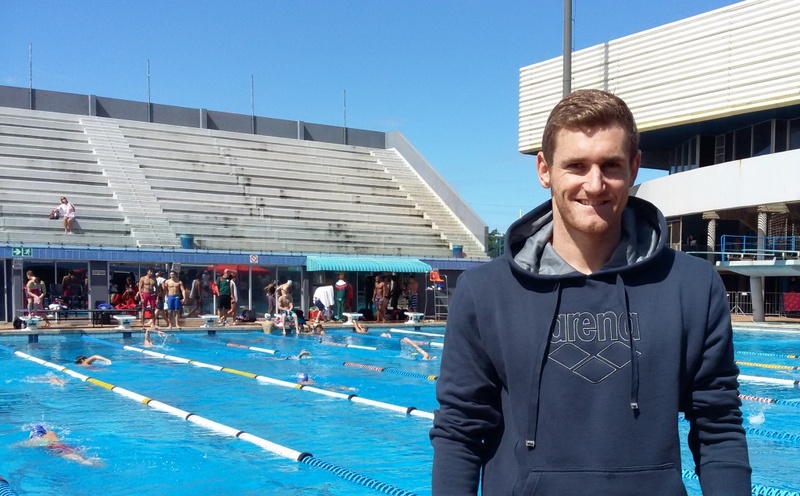 “I am really happy with my swimming right now and I am just really enjoying the competition” Van der Burgh said. He also showed his support for Durban’s bid to host the 2022 Commonwealth Games and mentioned what a great event it would be for the country as a whole. Guilio Zorzi was on hand for comment and offered his advice to young aspiring swimmers encouraging them to remember to have fun and focus on what you love most about the sport. “My advice would be just to compete because competing is the fun part and sometimes training becomes the boring part. Sometime you forget about just taking it all in and having that fun in the competition and if you see today everyone is laid back and enjoying themselves. The number one thing is to have fun. You have to go out there and race and sometimes your races don’t always go to plan but enjoy the race, the environment and the competition and you will always walk away with a smile” says Zorzi. We also caught up with four-time Olympian swimmer Roland Schoeman who put any performance speculation to rest and after having only been in the country three days went on to compete at the SA Swimming Championships with other SA greats. “I haven’t done much fly training since I only arrived three days before the start of the championships. I have experienced sleepless nights with the jetlag.” said Schoeman. To date he has over 72 medals and this year would be his eighth World Championships qualifier. His advice to young up and coming athletes would be to ‘ultimately to just believe in yourself’. Paralympians Kevin Paul, Charl Bouwer and Craig Groenewald also took to the water and Kevin went on to smash a world record in the 200m breaststroke with a time of 2:22:27 over the weekend. “Last year I moved from PE to Durban to join SA national coach Graham Hill and I have been really happy with how well my times have improved” he said. “I think the main thing to remember when swimming on a competitive level is to just have a good time doing it and to have fun. Do it for the right reasons and enjoy all the moments that come along the way. I found that I have learnt so many lessons that carry you through life and not just in the pool. So enjoy it and take it as it comes and take advantage of every opportunity that comes your way.” said Paul. “I’ve been fortunate enough to travel the world and visit so many interesting places when living the life of a professional athlete. For me the best moment of my career so far has to be back in 2008 when a group of us were able to meet the late Nelson Mandela. It was right after our trip to the Beijing 2008 Paralympic Games. I’ll never forget being able to share a cup of tea with a man like that and share a few words and experiences. I’ll never forget that.” said Paul.